« A non incident versus the Six O’ Clock News!!! 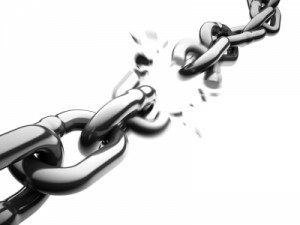 A chain is only as strong as its weakest link. One area this old adage applies to is security. Many companies may task their human resource departments with over-seeing security providers to keep employees as safe as possible while at work. Larger companies may have their own security teams. Either way, security professionals work at staying abreast of crime trends to remain one step ahead of those who would try to breach their systems, damage or steal property, or to cause harm to a company’s employees and visitors. Complacency – Both HR and security experts tell me that an area of great concern that they do not have full control over is the human element. The tendency of folks to become complacent and stray away from protocol. Some let people into the building without following all sign in and authentication procedures. Accepting an expired visitor’s badge is also not uncommon. If a batterer no longer knows where his partner lives he will go to the only place he knows he can find her. Her place of work! A Typical Scenario-The means by which he will try and enter a well secured building is often as simple as the scenario described below. Hold your ground-It is human nature for us to want to be pleasant and helpful rather than holding our ground and telling this pleasant man, “I am sorry sir but it is against policy for us to let anyone who does not work here in through a side door. Please use our front entrance to sign in” This very dynamic is usually why people will make an exception “just this one time” and let someone in. Time of greatest risk– It is well known that victims of domestic abuse are at the greatest risk of being murdered when they are leaving or have just left the batterer. Rarely does the batterer come to the place of work to argue with his mate over issues such as property matters and then leave. He is almost always there to kill her regardless of the consequence to himself or anyone else!! Very often a battered woman does not let her co workers know of her situation or that the situation is coming to a boiling point. These women have pride, put on a brave face and come to work and do the best they can. Rather be safe than sorry– So we all owe it to one another to follow the procedures and protocols put in place by security experts and to not make exceptions. If we start making exceptions to the rules pretty soon all we are left with are exceptions! If you are unsure about any systems or protocols they have put in place, ask them to review it with you. If you know of fellow employees who seem to be getting sloppy on procedure, remind them of policy, and if need be, bring this to your security teams attention. If you feel you are in a threatening situation of any type, it is always best to bring this to your human resource or security team’s attention with whom you can communicate confidentially. Kathy Gurchiek associate director at HR NEWS writes on this topic. This entry was posted on November 18, 2008, 6:53 pm and is filed under Domestic violence, Employee Safety, Human Resources. You can follow any responses to this entry through RSS 2.0. Both comments and pings are currently closed.